Don’t worry, though, so has everybody else. Of the three, Richardson has gotten the most support, but none are within striking distance of the nomination. I am not making this up. I don’t think it’s particularly relevant to the election—but… Willard. Try saying it out aloud. Say it slowly. Repeat it five times fast. Try moving the emphasis to the second syllable like you were Fred Flintstone shouting, “Wil-MA.” If you do this while looking at a Romney’s picture, you can get hours of quality entertainment. Willard. I did not foresee Fred Thompson. He came into the race like a lion—polling second amongst likely Republican voters as soon as he entered. Since then, he’s mumbled a bit at some debates and more or less fizzled. I do not see Fred Thompson having a major effect on the overall election. When I wrote the first article, I had no idea how much support Ron Paul would have. Somehow Ron Paul has captured an amazingly large following, considering. Ron Paul, who would like to cut the government down to about half of its original size, has attracted support both from libertarians and anarchists. His supporters held a fund-rasing event on Guy Fawkes day. He has an immense internet following. A Google search for his name turns up more hits than any other candidate. of course, his serious supporters are, conventionally speaking, crazy. Even if you think Paul’s election would be a disaster for the country, it’s hard to hear his mild-mannered call to gut government bureaucracy without without feeling a bit sympathetic. Ron Paul will not be the next President of the United States—but the immense support he has recieved show that many, many people are hungry for change. Even if we’re not actively waving the red and black, our inner children probably are. The the government-as-usual candidates will have a long, uphill battle. For many people a mere changing of the guard is not enough. It’s time for something radical. “Experience” won’t do it—particularly when that experience primarily consists of hanging around with previous Presidents. I screwed this one up. I knew the Christian conservatives would back somebody. I said Jim Gilmore. I have since forgotten who Gilmore is. They found Huckabee. So who is he? He’s a former governor of Arkansas and a former Baptist minister. He’s charismatic. He’s funny. 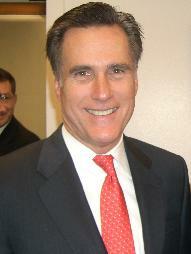 When Romney gave his talk about Mormonism, he offered to give a “God” talk too if national media wanted to cover it. He offered to throw in an offering and an altar call as well. And most importantly, he is pulling ahead in Iowa and South Carolina. He is still behind nationally—but an Iowa victory might give him the momentum he needs to grab the nomination. And how can somebody Chuck Norris supports lose? Of course, he has some weaknesses as well. Perhaps most notably, he probably did not consider himself a serious contender—so he has taken some fairly awkward positions. If he starts winning primaries, he will have a bit of explaining to do on how he plans to create a national sales tax to replace the IRS. In January I though nothing could compete with a Bill Clinton endorsement. I think I was wrong. Check out this video—though I should warn you that it is just under twenty minutes long, and you probably won’t be able to tear yourself away midway through. Obama himself may be bigger than Clinton. He is like Abraham Lincoln, MLK Jr., and Neo all rolled into one. In the end, I could see either Huckabee or Giuliani winning the Republican nomination and either Clinton or Obama winning the Democratic nomination. How would the various pairings go? Clinton v. Giuliani? I discussed this one earlier. Giuliani doesn’t have a great record on civil liberties and human rights—but Clinton is on record saying that human rights can never trump security. Giuliani would get most of the right by default, so the fight would be over the moderate left. Clinton’s only hope would be that a lot of the far right is disillusioned enough with both candidates to not bother voting—but as soon as her name is on the ballot, most of the far right will be sure to show up to vote against her. Obama v. Huckabee? This is another easy one. Both are charismatic populists—but Obama is more charismatic. Many people kind of like Huckabee—but he doesn’t have anywhere near the crowd appeal that Obama has. Clinton v. Huckabee? I’m not sure how to call this one. Huckabee comes across as honest and straight forward. Clinton comes across as established and scripted. Huckabee has some strange positions and Clinton wouldn’t be afraid to hit hard on those. Currently Clinton is way ahead on name recognition. The Republicans on the defensive. Worse yet, their primary season is getting nasty. Even if Huckabee wins it, he may end up damaged. Clinton is certainly the default choice in a Clinton-Huckabee race. Huckabee, however, has a few advantages. George Bush won an election by being the sort of guy you would sit down with and drink a beer. I can see that—if you and Bush coincidentally ended up at the same bar, why not have a drink with him? But Huckabee seems like the sort guy you might go to a bar to see, even if there is a three drink minimum. Of course, once you got to the bar, you might be a bit startled by some of his positions. I could see this election going either way—but would give a slight edge to Clinton. Obama v. Giuliani? Of all the possible matches, this is the most interesting. Obama, of course, would easily win most of the traditional democratic support. Giuliani might get more support in Connecticut, New York, and New Jersey than most Republicans would—but unlike Clinton, Obama is offering something substantively different than Giuliani. The gigantic “Christian conservative” block will be presented with two more or less pro-gay, pro-choice, pro-gun control candidates. One of the candidates, however, is a twice-divorced Catholic. The other is a Democrat who frequently discusses the central role of faith in his life. Many will decide that they are more Christian than conservative. If the Democrats can make inroads into that demographic, they should be set for the next two or three elections. 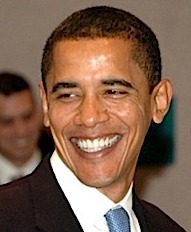 Obama has enough cross-party appeal and enough momentum that he should win in a landslide. I earlier predicted that Giuliani would win. Currently Giuliani is way down in most of the earliest primary states. He has all sorts of support in later states—but by the time they get to vote, the nomination may be more or less over. Giuliani may not even win the primary. Clinton is in a somewhat better position, but she is losing ground fast. Obama could edge her out. If Obama does, he should easily win the general election.